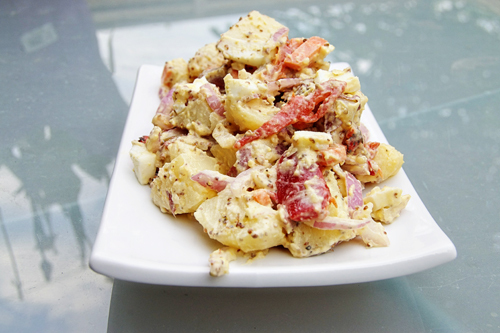 This week I’m excited to share my Aunt Paula’s potato salad. 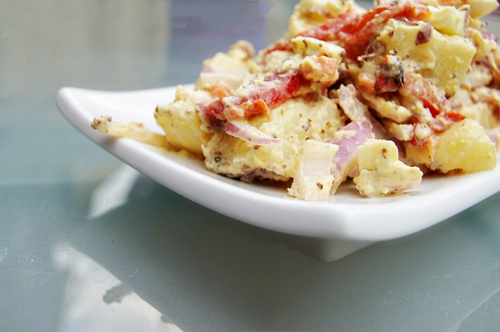 I love potato salad, especially the grilled potato salad we made last summer (I can’t wait to make that again). As the weather warms up I’m thinking about picnics more and more, and no picnic is complete without a potato salad! When our son Matthew was seven and had developed into a strong swimmer my husband Richard and I thought it was time to include him in one of our favorite outdoor activities- kayaking. As he was too young to kayak on his own we bought a two-person kayak so one of us could help steer and paddle. 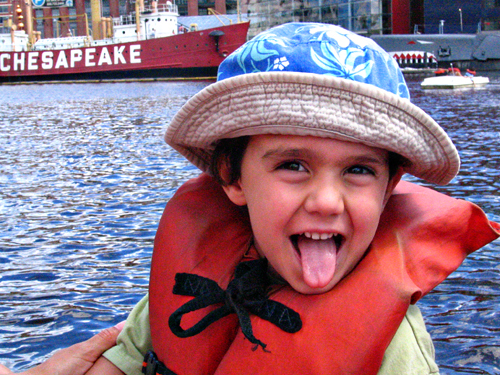 He quickly caught on and kayaking has become a fun family event that’s enjoyed from Spring to Fall. We’ve begun an annual tradition of kicking off the summer season by going to one of our local lakes, either Mercer County Park or Assunpink Nature Preserve. We spend most of the day paddling around, exploring the local wildlife, watching fishermen and other boating enthusiasts and then pulling over for a family picnic. The picnic is never fancy, but it’s something we look forward to. We search the bank for a good spot, one with a clearing, and pull the kayaks over. We eat our lunch and talk about what we’ve seen that day. Matt sometimes wades into the water or skims rocks on the surface. All in all, it’s a great way to start the summer. Boil and quarter your potatoes. Hard boil and dice your egg. Peel and chop carrots. Dice celery, red onion, and red peppers. Mix all ingredients together. Adjust seasoning and consistency. Chill.